A musician and educator by both trade and training, Mohamed Shahril bin Mohamed Salleh has an enduring affinity and passion for conducting. Having studied Choral and Orchestral Conducting with Dr Richard Swann, Mr Gwyn Roberts and Dr Debra Cairns during his undergraduate and postgraduate tenure, he also had the opportunity to work with several well-known clinicians such as Dr Anton Armstrong, Dr Heather Buchanan, Dr Richard Sparks, Ms Saeko Hasegawa, Mr Jon Washburn and Prof. Woon Hak Won. He counts among his influences Dr Samantha Owens (Vocal Practices in Early Music, Performance Practices in the pre-classical era) and Mrs Judith Johnson (Classroom teaching and Kodály Methodology). He also studied musicianship with renowned Hungarian Pedagogues such as Piroska Varga and Ildiko Herzaboly and still maintains a close mentorship with Mr Graeme Morton, an internationally recognized conductor and music educator based in Brisbane, Australia. He is a seasoned performer and was a member of the University of Queensland (UQ) Chamber Choir, UQ University Chorale, and sang as a soloist with UQ University Symphonic Orchestra. He also performed several solo and ensemble performances with various groups, both locally and internationally. These include the Asian Youth Choir, The National Youth Choir of Australia (NYCA), the Brisbane Chamber Choir, and the Madrigal Singers of the University of Alberta. 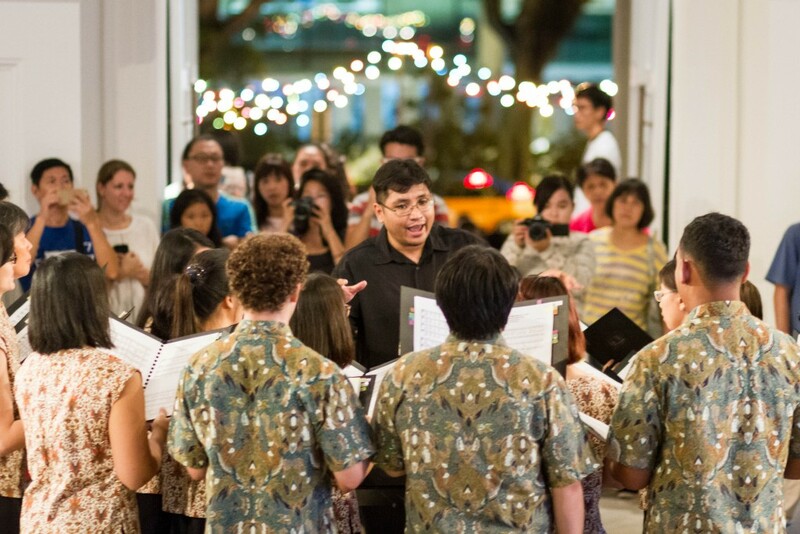 Shahril is the founder and current Artistic Director of Vox Camerata, one of Singapore’s longest running non-auditioned community choirs. He is currently a recipient of the Nanyang Technological University Research Scholarship, and is pursuing his Doctorate Studies in Socio-musicology at the School of Social Sciences under the supervision of Assoc. Professor Teo You Yenn and Asst. Professor Sam Tan. His current research interests are in the fields of aesthetic cultural sociology and music sociology, with a particular focus on the relationships between the Singaporean state and arts practitioners, and its influence on artistic and cultural production in Singapore.